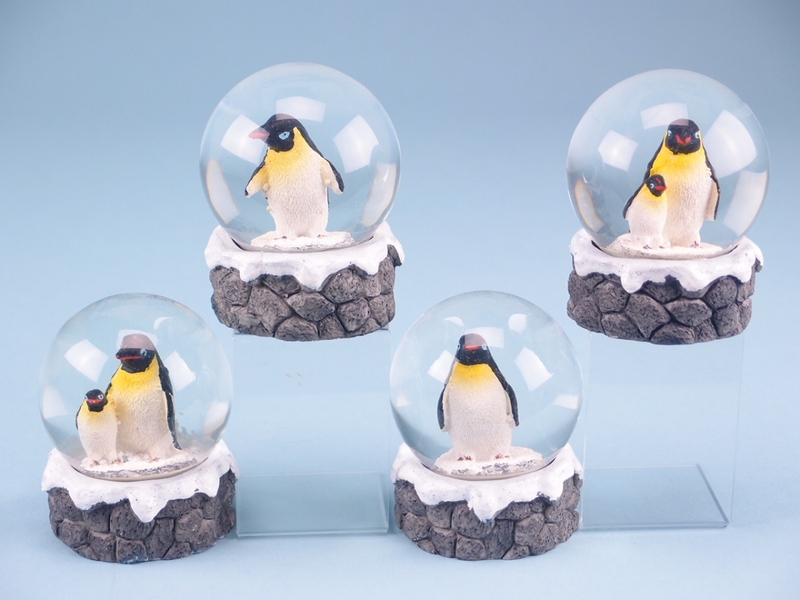 This fun penguin snow globe will be a playful ornament in a room or a cute gift for someone special. Who doesn’t love snow globes? Not only do they make great presents, they also makes for a playful ornament in your living space. 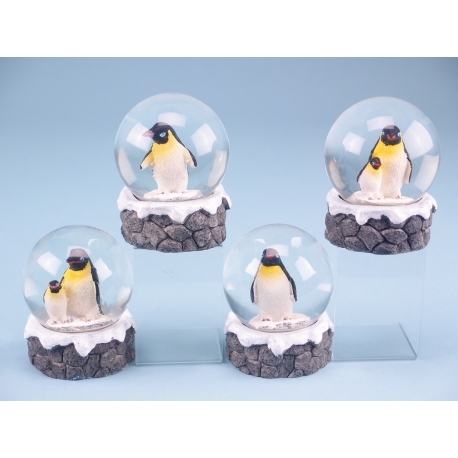 Our penguin snow globes are available in four different designs. Modern globes like our penguin units use a white plastic to create the snow effect. The liquid inside the globe consists of a light oil, water and antifreeze. The glycol and glycerine within the mixture slow the down the descent of the snow so the scene inside will stay active for a long time.